On the 16th of December, the Faculty of Al-Alsun hosted Dr. Nihad Mansour, Associate Professor of Translation, Faculty of Arts, Alexandria University. 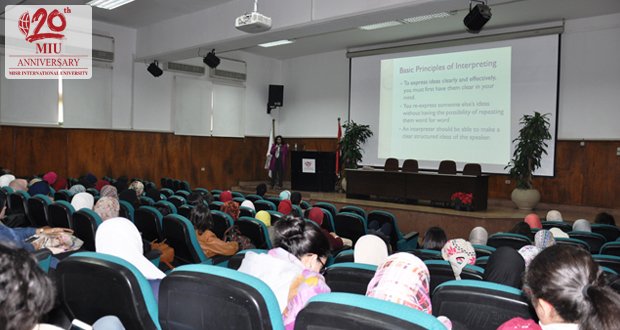 Dr. Nihad gave a lecture entitled “Interpreting is not Translation” in which she discussed the ‘golden rules’ of interpretation and interpreting as a profession. Dr. Mansour has a long experience in teaching translation, interpreting and TAFL modules and she is a very experienced conference interpreter.